The Cinema Sofa Bed is one of the most popular sofa beds to ever hit the market. 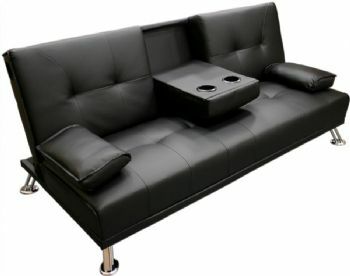 The sofa comes with beautiful looks, ergonomically designed comfort and ingenious Click Clack Sofa Bed mechanism and its funky pull down drinks table. 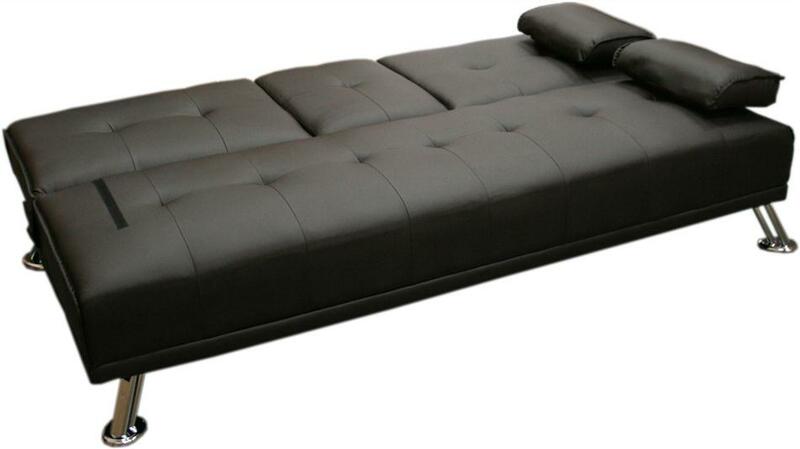 We can offer this sofa bed in both Brown and Black. 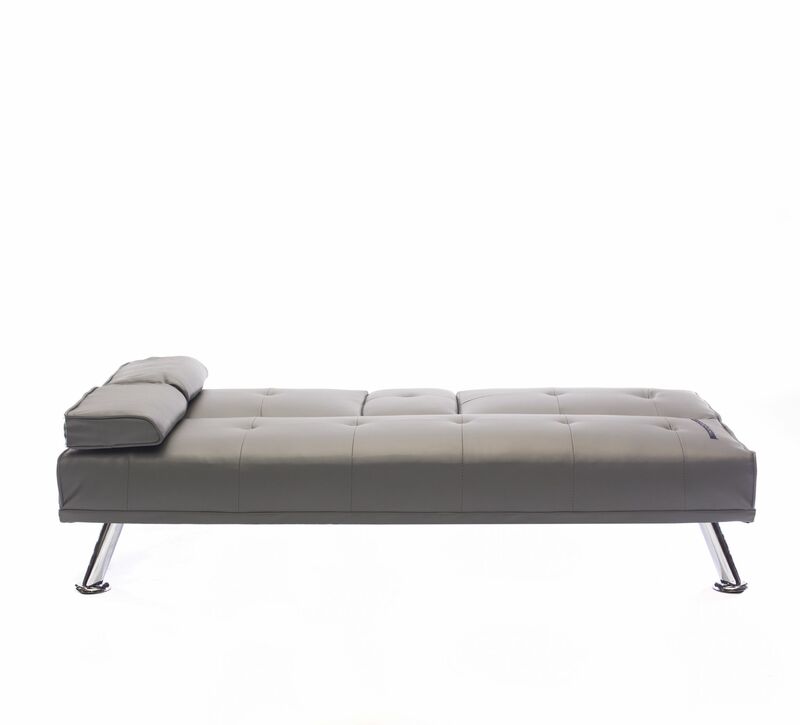 This piece is finished with a super-soft faux leather and polished chrome feet. 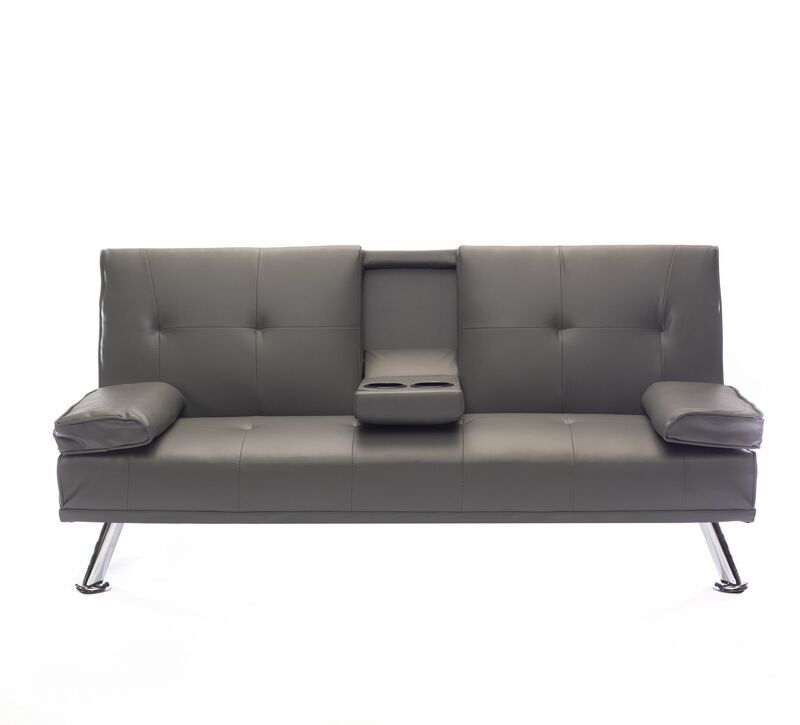 It also comes with 2 free cushions which can double up as pillows when this piece is used as a bed. This bed can comfortably sleep one adult. PLEASE NOTE THAT DELIVERY IS CHARGED FOR THIS ITEM AT A RATE OF £14.99 PER UNIT.